Pick a plush pickle! 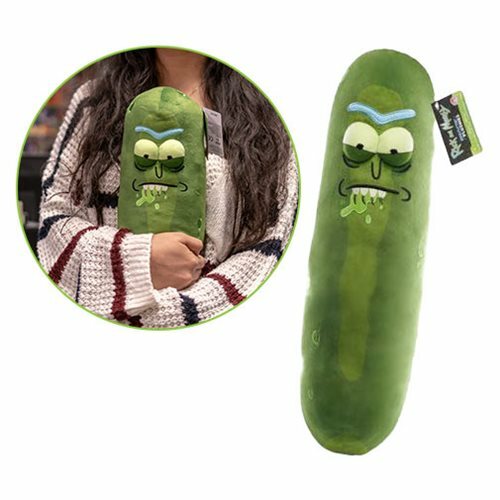 This plush takes Pickle Rick to larger than life scale so he’s the perfect thing to hug next time your family wants to talk about their feelings. Measuring about 18-inches tall, order one today…and maybe an extra for the needy Morty in your life. Ages 0 and up. Made in Vietnam.